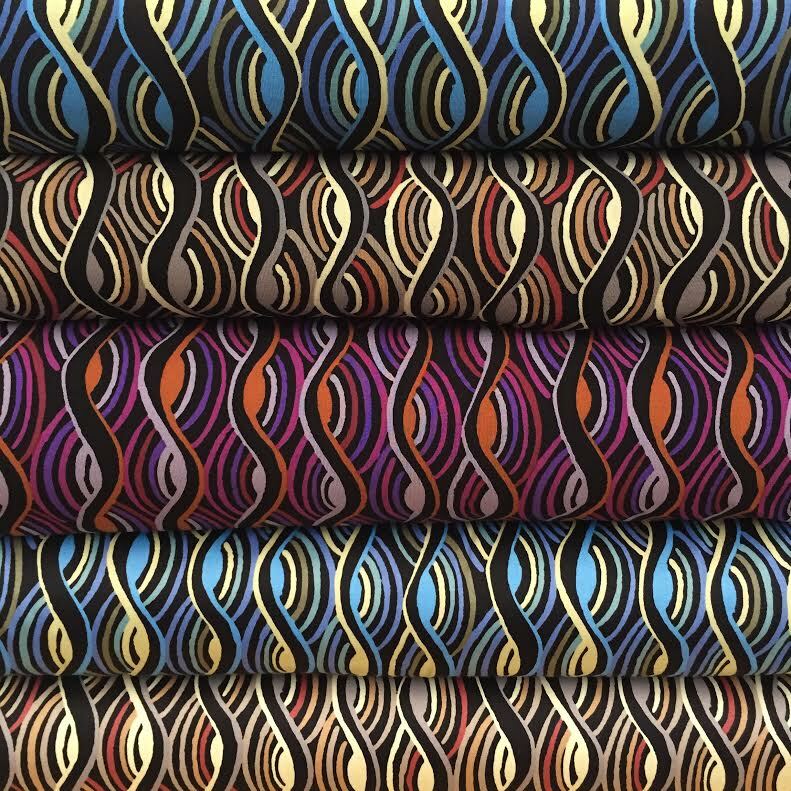 Our latest range of end of roll designer stretch cotton sateen and viscose jersey fabrics have a real seventies vibe about them. Tonal colours in graphic prints are reminiscent of the recent collections from Prada and other designers who are riding the seventies trend this year. Tramonto (which is Italian for sunset) has gentle waves in tonal colours, I think the viscose jersey version would make a stunning wrap dress.